1) Per usual, I’ll let you fill us in a little on what your path to mathematics was like (including when did math first strike your interest, and when did you know you would pursue it professionally)? And what is your current position? Mathematics and I are old friends. While my father has been a farmer my whole life, before I was born he was a high school mathematics teacher (and a quite gifted one too according to the former students of his I have spoken with). He did his best to convey to me the joy of mathematics at an early age and it turns out mathematics and I got on really well. We drifted apart for a while, but after I graduated high school and before I went to college (that is a whole different story) I found myself attending a very very dull town council meeting where my father had been invited to talk about running farmers markets. This was before smart phones and I did not bring a book so I had nothing to do. Soon I found myself scribbling equations on the back of a paper plate, trying to remember the rules of Calculus I had learned two years before. It was on the ride home from that meeting when I told my father I wanted to study mathematics in college. A couple of degrees later and I am now the producer and host of Relatively Prime a podcast featuring the coolest stories from the mathematical domain. We have released two seasons so far and are raising money on Kickstarter to fund a third. 2) I notice you have a BS and an MS in mathematics, so naturally curious what stopped you from going on for the PhD., or are you still thinking about it? The short version: While I was getting my Masters I realized that as much as I enjoyed doing mathematics, I love talking about it way more. The long version: I am a completely functional mathematician. I don’t doubt if I went to get my PhD I would survive the exams and write a fine dissertation with some interesting but not groundbreaking mathematics. Then I would go on to a career where I would get things published and be a good enough teacher that my students would not be disappointed they took a class from me, but I really would not leave much of an impact on the world. It would have been a comfortable life. As a mathematical communicator and podcaster I really believe I have the ability to have a real influence on the world. It is not an easy life. I am constantly scrounging around for opportunities and money and audience, but given the choice between comfortable and unspectacular versus hard and influential I will always choose the latter. I was an early adopter when it came to listening to podcasts; I want to say I started listening in around 2005, and when I was applying for graduate schools I went looking around for a podcast which could give me a sense of what I was getting myself into. I didn’t find anything. There were a couple of shows The Math Factor and Travels in a Mathematical World, but neither gave me what I was looking for and once you identify a problem it is up to you to fix it. So after taking some time to settle into graduate school I started my first podcast, Combinations and Permutations. It was very much a product of its era. Most of the podcasts I knew at the time consisted of a few friends sitting around a table making vulgar pop culture jokes, and C-and-P was no different. Well it was a little different I guess, as while it was still full of vulgar pop culture jokes each episode did technically focus on some mathematical topic. It may sound silly, but it was so much fun to do. So much fun in fact that I soon started a second podcast: Strongly Connected Components. SCC was much more serious and featured interviews with people who lived mathematical lives. Then on SCC I interviewed Peter Rowlett and he soon approached me with the idea for a weekly math news show and Math/Maths was born. There were some other shorter run shows in there too, but C-and-P, SCC, and Math/Maths were the big ones before I started Relatively Prime. I like to say Relatively Prime was started in a supernova of ego where I listened to Radiolab, This American Life, On the Media, and Snap Judgement, and thought I can do that. Really it was a bit more complicated, but not much. I was coming close to graduating with my Masters and I did not know what I was going to do next. I knew I wasn’t going to pursue a PhD and no industry position sounded interesting so I decided that the idea I had for a public radio style show about mathematics I had bouncing around head was worth pursuing. I put the project up on Kickstarter and on the final day it got funded. Then around a year later I released the first season. I had gone way over budget and had made plenty of mistakes (including an over 70 hour bus ride from Baltimore to Edmonton), but I loved what I had made and was super proud to have people listening to it. I then proceeded to get a job as a data analyst at a software company because it turns out credit card companies won’t take pride as payment. I never stopped thinking about doing more shows though and in 2014 was in a position again where I could try another Kickstarter to fund Season 2. It was funded and I just released the final episode of the 2nd season. It featured stories about cold war surveillance, whether or not you should go to El Farol Bar on a Thursday, why you might want to think about cities as if they were fractals, mathematical mime and some really cool mathematical audio sketches. I am now trying to raise the money to fund the 3rd season. You can pledge to support the telling of more mathematical stories on Kickstarter. 5) “Relatively Prime” is in its 3rd season… how has it evolved along the way, and what’s in store in upcoming episodes? Also, what are some of your own favorite past episodes that you’d want to point readers to? Season 3, if it gets funded, is going to be so great. It will feature stories about the favorite mechanical calculator of many rally car racers, how a lottery for licenses to run marijuana shops was designed, the number system which broke algebra free from the shackles of arithmetic, and how network science can help us better understand caner. Plus many many many more stories. Season 3 will also be the first season where Relatively Prime will be released monthly. Meaning if everyone reading this tosses in a few bucks and I get to make the show the first episode will come out on March 31st and then there will be another amazing episode of mathematical stories every month for a whole year. It will also be the first time I will be working with collaborators, like Anna and Annie from The Other Half podcast, to help me bring a greater diversity of voices and stories to the show. As for some favorite past episodes, well I have plenty. The coolest story I have ever had the luck to stumble on was definitely Chinook from the first season. It is the story of the AI which defeated the game of checkers and it features hubris, rivalry, and death (really, there is death). It is such a wonderful story. I am also super proud of the gerrymandering story and the interview I did with science fiction author Ted Chiang which was accompanied by a reading of his amazing short story Division by Zero, were really highlights for me of Season 2. 6) Is there anyone you’d love to have on a podcast that you’ve never had? And more imaginatively, if you could wave a magic wand and interview any (deceased) mathematician from the past, who might be your first choice? I keep on knocking names off my all-timer list, but there are some I am working on still that I won’t mention here. The one I will mention is Terry Tao. I have been trying to interview Terry for nearly 7 years now and I have never had any luck, so if anyone out there could connect us that would be amazing. As for anyone ever... Well of course of the greats, Gauss and Euler come to mind, and I would love to do a gotcha interview with Newton about how big a jerk he was, not to mention how much I would love to hear Erdös’s stories first-hand, and who wouldn’t want to give Fermat a sheet of paper bigger than a book’s margin and ask him what he was going to write. All of that said none of them would be my first choice, that would be Émilie du Châtelet. A woman who was the equal, let's be honest the better, of all the other minds around; she led a life which would guarantee not only an amazing story about mathematics, but an insight into the problems with diversity we still suffer from today. Plus, anyone who could hold their own with Voltaire would definitely be a great interview. 7) I honestly find very little time anymore for math podcasts (or even lengthy videos), and I think that’s a pretty common dilemma for folks these days with SOOO much digital material out there and limited time. So I guess I wonder how much you struggle with keeping material rich and engaging, yet not so long and in-depth as to lose audience attention, for lack of time? May I suggest listening at double speed? It is how I keep up with things. Honestly I don’t think about it in those terms. I live and breathe the stories on my show and if I still find them engaging by the time I am ready to hit publish I feel that is a decent barometer for whether or not my audience will connect with the stories. Fighting for people’s attention will always be a losing battle. Information and media does not go away. And not only does it not go away, we are every day creating more things for people to consume and tons of it is awesome. I just try to make things I personally find interesting and worth listening to, and hope people agree and listen. 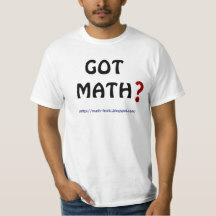 8) Anything else you care to say to a captive audience of math enthusiasts? We need to tell more stories. Mathematics is awesome. We already know this and since we know it is awesome we often try and convince people by showing them awesome things it can do. The problem is the people who do not already know mathematics is awesome won’t really get it when we just show them awesome mathematics. If we tell them a story about where the mathematics came from and what it will mean on the other hand we can hook them. 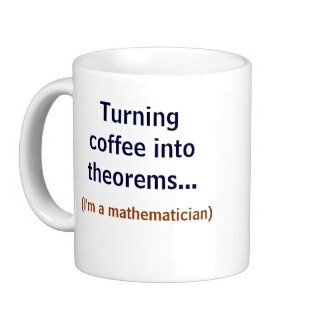 If we can show them mathematics is a human endeavor done by beings who are definitely just like them and not weird number-crunching robots in ivory towers then they will start to engage with our beloved subject. Stories are a central part of all of our lives for a reason and it is time we start using them in mathematics. Oh, and please back my Kickstarter. Or at least watch the video, it is animated and a ton of fun. No, and this is the first time. so what ya got against caffeine, and how do you do so many projects without it!? I gave up caffeine on my 19th birthday. I had a real problem when it came to the amount I would consume and it had started to have deleterious effects on my health. I refused to give up coffee though. This meant I drank a lot of terrible coffee, but thankfully coffee’s 3rd wave has made my life immeasurably better by making amazing decaf coffee available almost everywhere I travel. Of course being an obsessive, getting great coffee at coffee shops was not enough for me so I started buying and roasting my own coffee and even took some barista classes so I could make truly delectable cups whenever I wanted. If you ever need to know where the best cup of decaf is in most major US cities hit me up on Twitter, @Samuel_Hansen and I will let you know where to go. Okay, I'm still not sure how you get all this accomplished without caffeine, but I'll take your word for it! Seriously though, good luck with the Kickstarter campaign... and with seasons 4, 5, 6.... of Relatively Prime as well ;-) And THANKS for taking time out to participate at MathTango. Now everyone go listen to some podcasts, and help Samuel out at Kickstarter if you can (less than 2 weeks left, so don't procrastinate)! Near the end he writes:"So unfortunately I don’t think it’s possible. Reform would be great, post-publication review is great, but I think we just have to give up on retraction. The system is just too big to fail." And he compares previously published work as "potentially a junk bond supported by toxic loans and you shouldn’t rely on it."